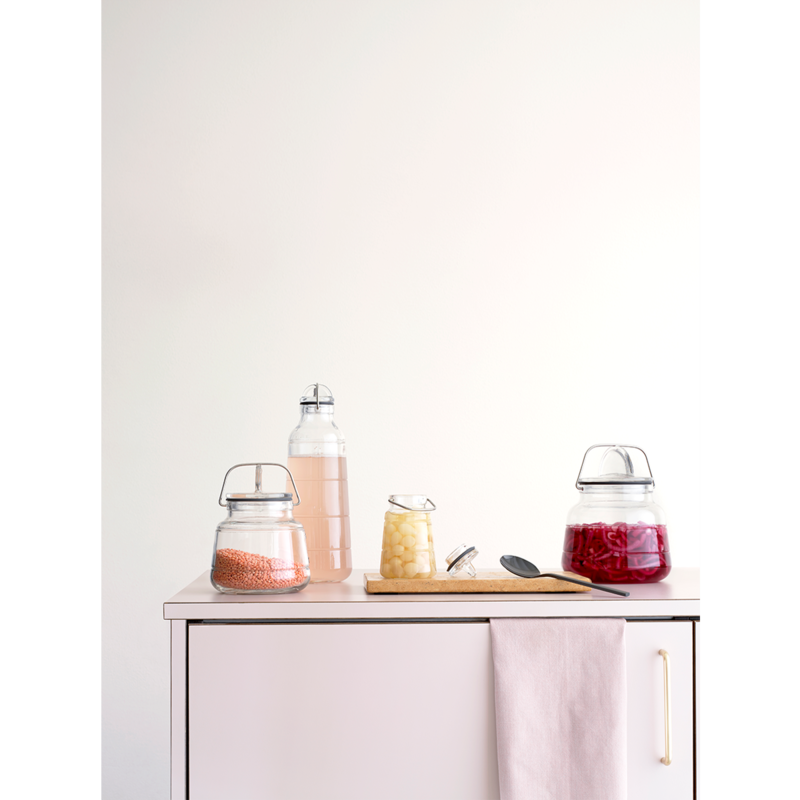 The practical Scala storage Jar by Holmegaard was originally designed by Ole Palsby, and the design has subsequently been refreshed by Maria Berntsen. 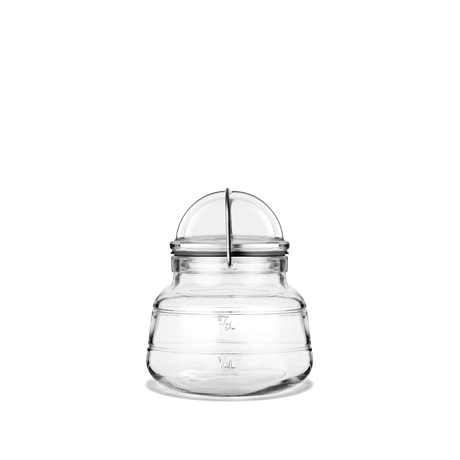 The jar has a capacity of 0.5 l and has characteristic grooves with a measuring scale, which makes it easy to read the volume in the Storage Jar. Hence the name Scala. 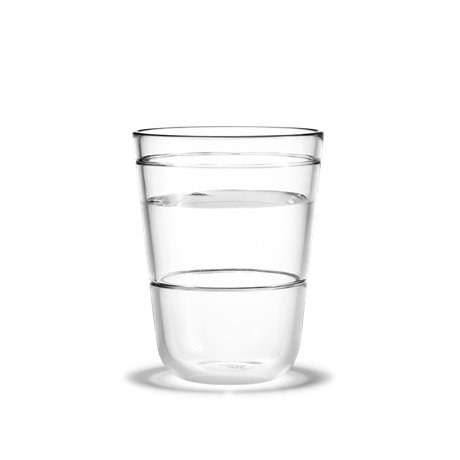 The glass is machine-pressed with a grey silicone seal and stainless steel spring wire handle. 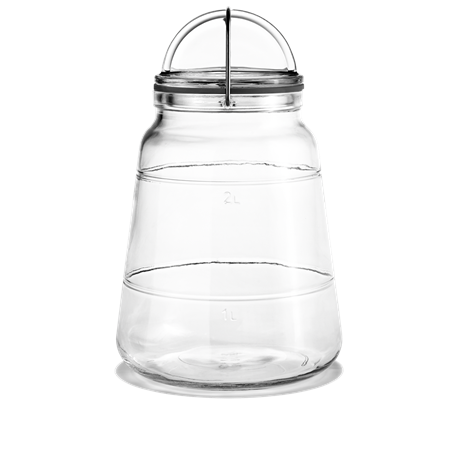 The smart clamping of the lid closes the Storage Jar tightly while providing a way of carrying it by the lid. Aesthetics, practicality and technology add up to a greater whole in this Holmegaard Storage Jar, and you can fill the glass with whatever you wish. 50% cotton, 50% polyester. Acrylic coating.